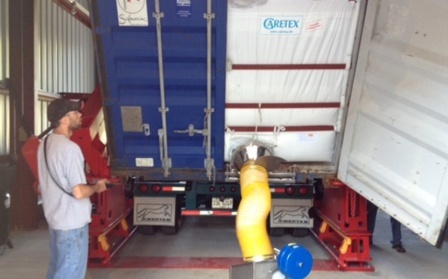 Transmin’s nickel processing customer eliminates all safety risks with their A-Ward ball mill with ball container unloaders. A-Ward distribution partner Transmin challenged A-Ward to design and build four container unloaders that would enable a nickel mining customer to safely unload steel balls into their ball mills. A ball mill is a type of grinder that is used to grind and downsize mined materials such as copper, gold, iron ore and nickel. 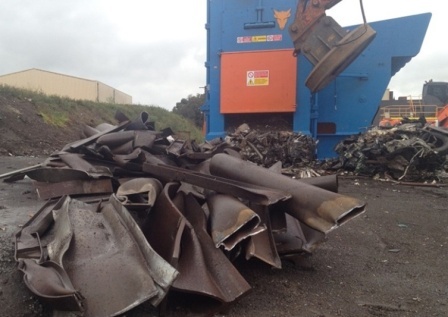 These container unloaders were required to receive full 20ft containers via large forklifts and tilt these containers to 20 degrees so that the 40mm and 70mm steel balls are unloaded into concrete storage hoppers. Transmin challenged A-Ward to supply a solution that would eliminate all operator safety risks and integrate seamlessly with their ball mills. A-Ward supplied four slightly-customized Flat Deck container unloaders. 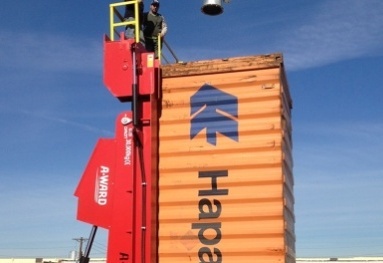 These container unloaders were limited to 20 degrees due to the low angle requirement to shift steel balls (A-Ward’s standard container unloaders tilt to a maximum angle of 70 degrees). The tilt angle can also be locked at any stage for guaranteed stability. 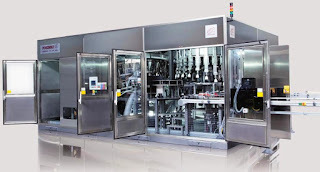 Other upgrades added for this project included a high-specification pebble grey paint finish, upgraded WEG electric motor with IP66 electrical rating and a safety sensor package to integrate with the end user’s PLC system. Transmin’s nickel processing customer is able to eliminate all safety risks with their A-Ward ball mill container unloaders. By integrating A-Ward’s container unloaders with Transmin’s ball mill systems, the entire ball unloading and milling process becomes a totally enclosed, hands free and safe operation. 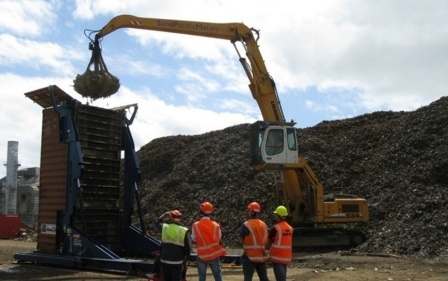 Another major benefit is that mining customers reduce labour costs associated with less efficient container unloading systems. 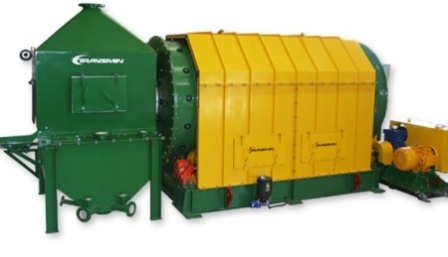 Eliminates all safety risks with A-Ward ball mill ball container unloaders. 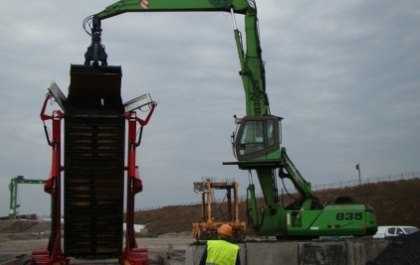 Quick Unloading and Reduce Labor Using A-Ward Container Loader. 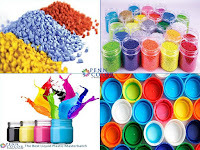 Coca-Cola has significantly increased profitability by importing and handing containerized PET resin directly using their A-Ward container unloader. Coca-Cola challenged A-Ward to supply a container unloader to enable the company to switch from purchasing PET domestically to importing PET in 20ft containers.Coca-Cola previously sourced PET locally, which was delivered via rail and trucks.This proved expensive as well as labor-intensive and time consuming to unload.This container unloader was required to receive full 20ft containers from standard North American tractor trailer units and then tilt the containers to an angle of 50 degrees to unload the PET resin. 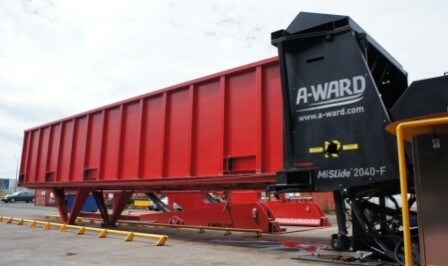 A-Ward supplied a slightly-customized 20ft Universal Frame container unloader to Coca-Cola. 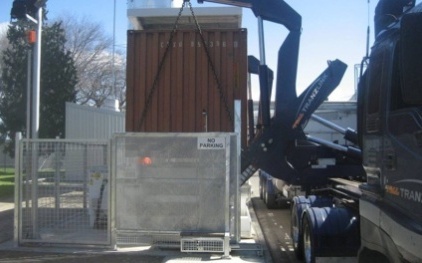 The customization included making a minor alteration to the container unloader so that the shipping container floor would remain at least 33inches (841mm) from the ground when tilted at 50 degrees (ensuring integration with their Caretex material distribution box). A-Ward also provided a number of accessories including hands free remote control, hydraulic door opening and closing arms and an electric power pack. Coca-Cola has significantly increased profitability by importing and handing containerized PET resin directly.By using a semi-customized A-Ward container unloader, Coca-Cola has been able to reduce trucking and transport costs (by importing directly) and reduce unloading time from 2 1⁄2 hours to 1 hour per load.Another major benefit is that Coca-Cola has reduced unloading labor from 2 people to 1 person by using a hands free remote control.